You know that marketers and retailers track you online; cookies, social logins, canvas fingerprinting Canvas Fingerprinting Will Track You Everywhere You Go. Here's Why You Should Be Worried Canvas Fingerprinting Will Track You Everywhere You Go. Here's Why You Should Be Worried Read More , and all sorts of other technologies make it easy for companies to keep track of what you do, not only on their site, but all over the Internet. But did you know that these same companies are monitoring what you do offline, too? Here are some of the interesting strategies they use to connect your online and offline lives. Although marketing has gone largely digital, the offline advertising world is still a significant one, which means a lot of money gets spent on display advertising, from billboards to magazine ads. But because so much shopping is done online, marketers need to know if those ads are driving conversions in their online stores. How can they connect the two? The methods are actually surprisingly simple. For example, display ads could direct you to a specific URL that’s not accessible from a search engine — now, the company knows that every person who goes to that page saw the ad where the link was shared. The same can be done with discount codes The 3 Best Online Coupon Sites to Save You Money The 3 Best Online Coupon Sites to Save You Money Coupon sites are one of the best and easiest ways to save when shopping online. From quick deals to guides on how to control your budget, here are the best coupon resources on the Web. Read More ; for example, if you were to enter “washingtonave10” when you buy a product, the marketers might know that you saw the ad on Washington Avenue. If you’ve ever scanned a QR code Are QR Codes Just A Fad? [Opinion] Are QR Codes Just A Fad? [Opinion] I remember the first time I encountered a QR code. I didn’t have a smartphone yet, so my reaction was "Hey, what’s this weird block of pixels?" It was only when I purchased my first... Read More on an ad and been brought to an advertiser’s website, you also gave them information about how you found out about their site. The same is true if you text a number to get a coupon code or more information about a service. Specific phone numbers can be set up to correspond to different ad campaigns, too. All of these strategies are relatively basic, and marketers have been using them for years. The new tactics that they’re coming up with, though, have some privacy advocates worried. Of course, finding a connection between online and offline consumer behavior isn’t easy — if someone comes into your store and buys a product in cash, how can you know whether they’ve been to your website or seen your ads on Facebook How to Control What Ads You See on Facebook and Google How to Control What Ads You See on Facebook and Google Ads pay for the Internet. Unless an alternative is found, we have to accept them. But while we live with them, we can make these online behavioral ads more relevant to us and our interests. Read More ? Marketers have found some pretty interesting solutions to this problem. One of the most common is by offering loyalty cards I Make $2000 A Year Selling My Personal Information, You Can Too I Make $2000 A Year Selling My Personal Information, You Can Too Don't be one of those suckers that sells their information for nothing! Read More , like those you get at REI, Starbucks, Tesco, Safeway, Eddie Bauer, and thousands of other retailers. It feels like you can get a loyalty card just about anywhere you shop today. And what do you use to sign up for that loyalty card? Your email address, which you’ll use when you shop online. And which is tied to your computer and tracked all over the web. Sometimes retailers will get your email address just by asking for it when you check out — they’ll often offer a newsletter full of coupons or special deals to get you to give away your address. With this information, marketers know when you make a purchase at a store and what you bought, and can connect it to your online behavior. If you downloaded a printable coupon to use in a store, you may have been required to enter your email address, and that coupon likely had a unique code on it, so even if you didn’t think you shared your email address at the store, you very well may have. There are some very big companies doing their best to connect as much online and offline data about you as they can. You may have heard of DataLogix, but there are plenty of other data brokers out there, including Acxiom, Intelius, and Epsilon. These companies are in the business of connecting online and offline data points, and they’re really good at it. In addition to collecting information from loyalty programs, online tracking services, and other commercial avenues, they also collate information in public databases that could include things like your marital status, where you live, if you have a mortgage 5 Calculators to Decide If You Can Afford a New Car or House 5 Calculators to Decide If You Can Afford a New Car or House Taking out a loan can be a complicated procedure, but figuring out if it's a good idea in the first place can be even more difficult. Read More , whether you’re registered to vote, and other things of public record. Combining this with online factors means that these companies have a pretty good idea of your economic status, political leanings, religious views, and other sorts of information that you might not think you’ve made public online. Again, all of these things have been going on for quite a while, and you might not be surprised that companies have this information. Consumers’ complacency about data collection Why Have Americans Given Up On Privacy? Why Have Americans Given Up On Privacy? A recent study by the University of Pennsylvania's Annenberg School for Communication concluded Americans are resigned to giving up data. Why is this, and does it affect more than just Americans? Read More , however, has encouraged companies to further push the envelope to collect offline data. 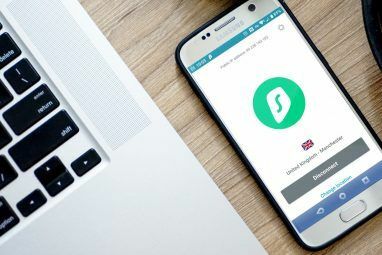 Do you pay attention to the permissions that your Android apps ask for How Android App Permissions Work and Why You Should Care How Android App Permissions Work and Why You Should Care Android forces apps to declare the permissions they require when they install them. You can protect your privacy, security, and cell phone bill by paying attention to permissions when installing apps – although many users... Read More ? Do you know if Location Services is turned on? If not, your smartphone could be reporting location data back to advertisers. A few years ago, Google tested a system that would track your movements through the GPS in your Android phone so it would know when you went into stores — it would connect the stores you visited with the mobile ads you were shown to see how effective the advertising was. And while there’s no indication that Google is doing this right now, there are a number of companies that are definitely keeping track of where you go when you’re away from the computer. Apple’s iBeacon system Build a DIY iBeacon with a Raspberry Pi Build a DIY iBeacon with a Raspberry Pi Advertisements targeted to a particular user walking through a metropolitan center are the stuff of dystopian futures. But that isn't a dystopian future at all: the technology is already here. Read More , for example, can record where you go in a store to give a retailer an idea of your (offline) browsing habits. Google, Daelibs, and HP have all debuted similar technologies. 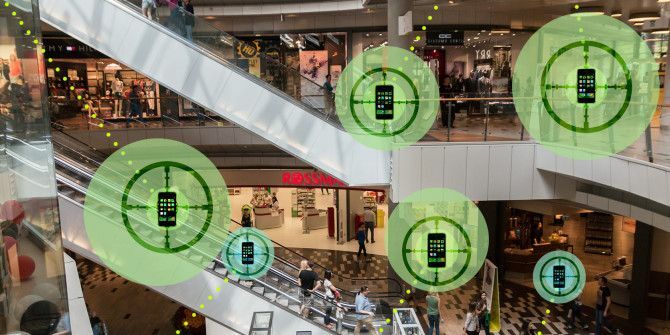 A number of malls have instituted systems that track signals from shoppers’ cell phones, tracking them through the mall and gathering data. While most systems emphasize that this information is “anonymous” and not tied to any specific user, the veracity of this claim is dubious. I haven’t come across any stories suggesting that these sorts of monitoring systems have been combined with online data tied to specific phones, but it seems like it’s only a matter of time. Even if you’ve turned GPS off on your phone and you don’t shop at malls, marketers will still find a way to track you. A recently developed technology by ClearChannel Communications allows it to track mobile users through installations in its billboards, which are present in 35 US markets, including some of the largest cities in the country. This technology, if combined with other tracking systems, could allow ClearChannel to determine the effectiveness of its billboard ads in driving consumers to specific stores. According to Jason King, who spoke with CSO Online, ClearChannel has no ability to identify the age or gender of the people who pass its billboards — it only has the information given to it by cell phone service providers. However, King also told CSO Online that “before providing the data to Clear Channel, the data providers categorize their consumers into anonymous groups such as soccer moms or NBA fans, and advertisers want to target these aggregated groups of anonymous consumers.” This puts a good deal of consumers’ privacy in the hands of cell phone providers, who have a rather awful record of privacy violations. All of this information has privacy advocates — including Minnesota US Senator Al Franken, who wrote a letter to ClearChannel — worried about what kind of data is being collected without our consent. Because this is a sensitive issue, and these advances bring with them the potential for billions of dollars of ad revenue; as such, their development is likely to continue behind closed doors. While it’s not easy, you can opt out of a lot of different data brokers’ programs. Whether you believe this will actually be effective or not probably depends on how trustworthy you think these companies are, but opting out certainly can’t hurt. The best way to opt out, once you’ve already opted out of data collection on your social networks and your cell phone, is to go to the list on StopDataMining.me and use the opt-out links for the various brokers. Even if you only opt out of the top five or ten, that should make a pretty big difference in the amount of data about you that’s being sold. Of course, other companies are likely to pop up and start doing the same thing, but you have to start somewhere. Increasingly, the distinction between “online” and “offline” is becoming a false one. With constantly connected smartphones, GPS devices that track our whereabouts How to Use an Android Smartphone as a Tracking Device How to Use an Android Smartphone as a Tracking Device Need a GPS tracker? Use your Android device! Read More , and the proliferation of apps that reward us for checking in at various locations, we’re very rarely actually totally disconnected from the Internet. Say what you want about whether or not this is good for society in general, but it’s great for marketers, who cash in on the information they get from you. The idea of privacy is also changing in the face of this disappearing distinction, and in ways that we can’t totally predict. 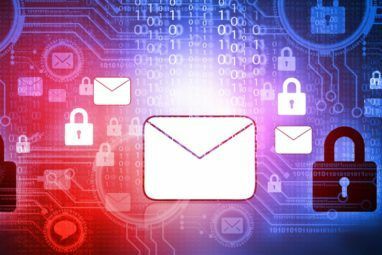 It seems to be getting more difficult to maintain any semblance of privacy in the face of marketers, whether you’re on or offline, and the ways in which these types of data can be connected seem to increase every day. What do you think? Are you worried about marketers linking your on and offline behaviors? Have you opted out of these tracking programs? How do you think these companies will collect data in the future? And is it worth it for consumers? Share your thoughts in the comments below! Image credits: Michael Sauers via Flickr, Federal Trade Commission, Mikey via Flickr. Worse Than Phishing: What Is a Whaling Cyberattack?What Is a Bootkit, and Is Nemesis a Genuine Threat? I hate advertising and everything connected with it. Why not just make really quality products, and let the customers come to the sellers? It can't cost more than paying for all that information and putting that many ads in front of people, hoping you do it better than all you competitors. Just produce something so good that your buyers tell everybody else! It's unfortunate that most of our online transactions and social media engagements constantly provide a pool of information to data collection and marketing companies, but at the end of the day, that's the price we pay for convenience. By invading our privacy, in a way, they avail to us the commodities and services we really require through custom advertising, as they benefit from reduced ad costs and increased revenue. How the privacy violations affect us in the long term, however, is anyone's guess. Nothing in this world comes free, after all. Not free WiFi, not newsletter subscriptions, and certainly not social media. "By invading our privacy, in a way, they avail to us the commodities and services we really require through custom advertising"
The services and commodities we really require were provided to us long before the era of computers and egregious data collection.
" they benefit from reduced ad costs and increased revenue." Not so. As you say yourself "Nothing in this world comes free". If you look at corporate financial statements you will notice that advertising budgets are constantly going up, as are the budgets for software and hardware needed for the constantly expanding data collection. It has become a vicious circle, companies have to collect more data to pay for their hardware and software but then they need more hardware and software to collect that data. Rinse and repeat. "How the privacy violations affect us in the long term, however, is anyone’s guess." Companies are getting used to having access to more and more data. Pretty soon they will insist that data collection is their constitution right and they will demand to know the most private and intimate details of our lives. We have nobody to blame but ourselves. The data collection companies are only collecting information that we unwittingly are broadcasting to the world. If people on the street were dropping money (data), wouldn't you pick it up (collect it)? We demand convenience over privacy/security. We want our smart phones to provide all kinds of services at a push of one button; provide driving directions, connect to our bank, control all the devices in our smart homes, etc. All that leaks data like a sieve. For the most part, I agree with you. However, there's also the idea of a reasonable expectation of privacy. I think it's pretty reasonable to expect that you're not being tracked around a mall just by having your cell phone in your pocket. There isn't any convenience that you're getting for that one, and the fact that it's going on will probably surprise most people. The crazy amount of data that's being bought and sold and collated is also worrisome. Even if we want some conveniences that we're willing to sacrifice a bit of privacy for, the scale of those activities is amazing and worrying. "there’s also the idea of a reasonable expectation of privacy"
An idea is all it is. Privacy is quickly becoming an abstract concept. The amount of surveillance by private entities that is going on in the "free" world puts the KGB, NKVD, Stasi and Gestapo combined to shame. Just imagine how we would be monitored if we lived under an oppressive regime. :-) We might as we be implanted with tracker chips. Although, when you think about it, we willingly implant ourselves with tracker chips, our smart phones.